Can they become a famous four? When you think of smartphone manufacturers Archos probably isn't the first, or even the tenth, name which springs to mind, but the plucky firm is apparently ready to roll with four new handsets. Information on the quartet was picked up by French site Mini Machines, and reveals handsets ranging from budget to high-end areas of the market - specs and all. It's a long time coming, after Archos (back in its PMP pomp back in 2008) told TechRadar it was thinking about entering the phone market if the timing was right. Five years seems to be the figure there, then. The flagship device appears to be the Archos Platinum 48, which features a 4.8-inch HD display, 1.2GHz quad-core processor, 1GB of RAM, 8GB of internal storage, 8MP camera, 2000mAh battery and runs Android 4.1 Jelly Bean - which would place it nicely against the likes of the Samsung Galaxy S3 and iPhone 5. 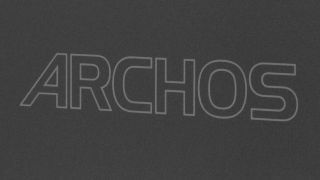 Next up in the identity parade is Archos' attempt to challenge the likes of the Samsung Galaxy Note 2, the Titanium 52. It has a 5.2-inch display, 1.2GHz dual-core processor, 2200mAh battery, 5MP camera and a slightly lacklustre 512MB of RAM and 4GB of internal storage, plus it only runs Ice Cream Sandwich. As we move down the price scale we're greeted by the 4-inch Titanium 4, and the baby of the range the Carbon 3.5, which has, you've guessed it, a 3.5-inch display. Both handsets run Ice Cream Sandwich and pack 512MB of RAM, with the Titanium 4 boasting a 1.2GHz dual-core processor, 5MP camera and 4GB of internal storage. Meanwhile the Carbon 35 makes do with a 1GHz single-core chip, 2MP camera, 512MB of internal storage and a 1500mAh battery. According to the leak all the handset will be available sometime this month apart from the Platinum 48 - which is due a little later in May. We have contacted Archos to try and find out if these smartphones will be heading to the UK and we'll update this article once we hear back.